Winsor and Newton Artists' Picture Varnish. A final clear, non-yellowing removable varnish for the protection of oil alkyd and acrylic paintings. Available in 150ml cans in matt or gloss. 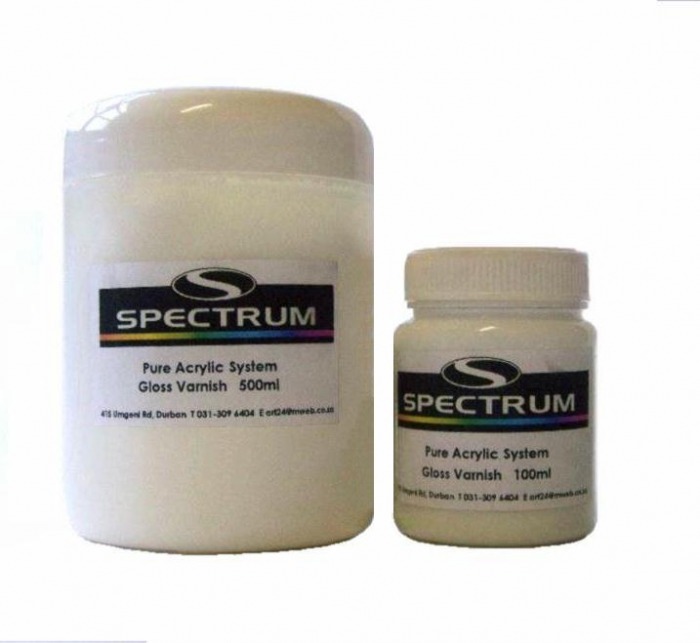 Spectrum Acrylic Gloss Varnish. Available in 100 & 500ml tubs. 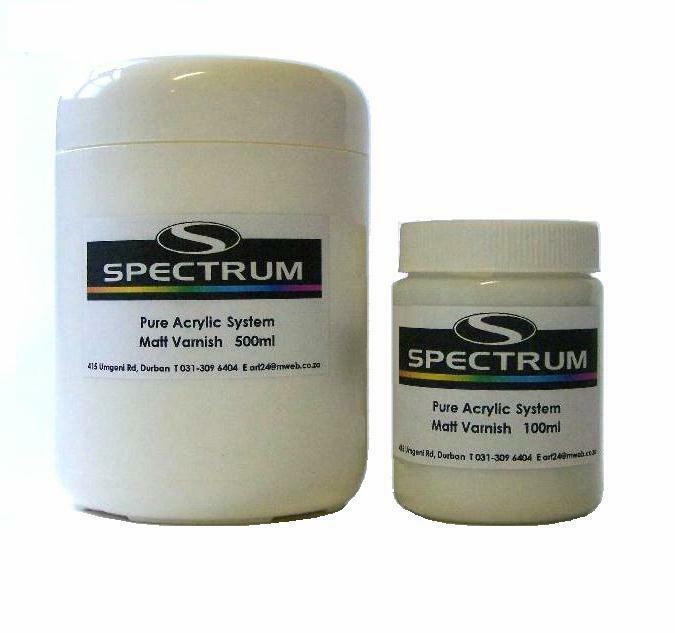 Spectrum Acrylic Matt Varnish. Available in 100 & 500ml tubs.